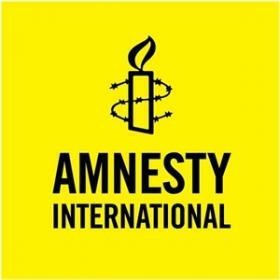 The Chief Legal and Policy Officer (CLPO) of Amnesty International USA (AIUSA) reports to the Executive Director (ED) and serves as the legal counsel to the organization’s leadership. The CLPO is an expert on laws affecting non-profit advocacy organizations and will partner with Amnesty’s senior leadership to develop a strong legal framework in support of our organizational effectiveness, innovation, compliance and risk mitigation. The CLPO proactively supports the ED and the Board of Directors in relationships and collaboration with the global organization, Amnesty International (AI), and external partners. The CLPO is responsible for AIUSA’s policy work and supervises a team of nine staff working on government relations; the CLPO also advises organizational leadership on governance issues, handles all staff union concerns, and manages other projects as assigned. The CLPO oversees a team of eleven staff, is a member of the Executive Team, and advises the Board of Directors. Review and approve legal contracts signed by the organization and oversee any confidentiality agreements. Advise staff on how they can protect the organization’s legal standing.